Laura I. Rendón earned a Ph.D. in higher education administration from the University of Michigan, Ann Arbor. She holds a M.A. in counseling and guidance and psychology from Texas A&M University-Kingsville. She earned a B.A. in English and journalism from the University of Houston and holds an associate of arts degree from San Antonio College. Rendón also attended Laredo Community College. Rendón is Professor of Higher Education in the College of Education and Human Development at the University of Texas San Antonio. She is also Co-Director of the Center for Research and Policy in Education. 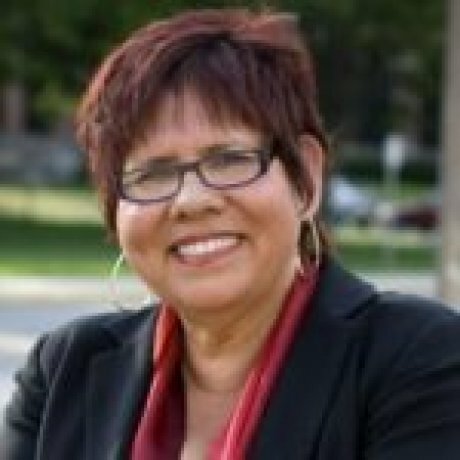 From 2005-2009, Rendón served as Professor and Chair in the Department of Educational Leadership and Policy Studies at Iowa State University, College of Human Sciences. As a research specialist on college preparation, persistence, and graduation of low-income, first-generation students, Rendón is also recognized as a thought leader in the field of contemplative education. She has been a keynote speaker at conferences such as GEAR UP, National Conference on Race and Ethnicity, National Association of College Admissions Counselors, International Conference on the First-Year College Experience, and International Conference on Research on Service Learning, among others. A native of Laredo, Texas, Rendón’s passion is assisting students who, like her, grew up in poverty with hopes and dreams but not knowing how to realize them. Rendón is credited with developing the theory of validation, which colleges and researchers have employed as a framework for working with and affirming low-income students. Rendón is an active scholar whose research has been published in key education research journals. She is also the author of Sentipensante (Sensing/Thinking) Pedagogy: Educating for Wholeness, Social Justice and Liberation. Moreover, she is co-editor of books and monographs including: Transforming the First Year of College for Students of Color, Educating a New Majority, Introduction to American Higher Education, and Racial and Ethnic Diversity in Higher Education ASHE Reader. In 2013, the Texas Diversity Council recognized her Among the Most Powerful and Influential Women in Texas. Rendón has been the recipient of grants focused on student access and success from organizations such as TG, The Lumina Foundation, and the Ford Foundation. She is one of the founders and former Board Chair of the National Council for Community and Education Partnerships (Washington, DC), focused on providing access to college for low- income students. She has also served on the Board of Trustees for Naropa University in Boulder, Colorado. Further, Rendón has designed and coordinated the yearly Latino/a Student Success Institute for the American Association of Hispanics in Higher Education. (In Progress) “Challenges, Threats, and Opportunities for the Future of Hispanic Serving Institutions.” With Vijay Kanagala. In Hispanic-Serving Institutions. Eds. Bonner, et al., Sterling, VA: Stylus Press. (In Press). “Contemplative pedagogy in a culturally diverse classroom.” With Vijay Kanagala. National Center on the First-Year Experience and Students in Transition. (In Progress). “Latino/a Student Experiences at an HSI.” With Vijay Kanagala. To be submitted to Review of Higher Education. Rendon, L.I. & Kanagala, V. (Eds) The Latino Student Guide to STEM Careers. Greenwood Press, 2017. “The process of reflexion in bridging testimonios across lived experience.” With M. Espino, I. Vega, and M. Muniz. Equity and Excellence in Education 45:3 (2012): 444-459. Sentipensante (Sensing/Thinking) Pedagogy: Educating for Wholeness, Social Justice and Liberation. Sterling, VA: Stylus Press, 2012. “Cultivating una persona educada. A sentipensante (sensing/thinking) vision of education”. Journal of College and Character 12.2 (2011): 1-9. Harper, S.R, Jackson, J; Austin, A.; Conrad, C; Kezar, A; Rendon, L.I., & St. John, E. (Eds). Introduction to American Higher Education. New York: Routledge, 2011. Preface to Section on College Students. In Introduction to American Higher Education. Eds. S.R. Harper & J.F.L. Jackson. New York: Routledge, 2011. “Revisiting validation theory. Theoretical foundations, applications, and extensions.” Special Issue of Enrollment Management Journal 5.2 (2011): 12-33. “Learning with heart and mind: Embracing wholeness in learning communities.” With L. Burgis. Journal of Religion and Education 33.2 (2006): 1-19. “Latinos, higher education and the ‘needs’ of the market.” With N. Osei-Kofi. Latino Studies 3 (2005): 249-260. “Recasting agreements that govern teaching and learning: An intellectual and spiritual framework for transformation.” Journal of Religion and Education 32.1 (Spring 2005): 79-108. “Persistence among American Indian/Native American college students at a Bible college: the importance of family, spirituality and validation.” With J. Saggio. Christian Higher Education 3.3 (2004): 223-240. “Testing race-neutral admissions models: The Case of California State University-Long Beach.” With V. Novack and D. Dowell. The Review of Higher Education 28.2 (2004). Rendón, L. I., Garcia, M., & Person, D. (Eds.) Transforming the first year of college for students of color. Columbia, SC: Center for the First-Year Experience and Students in Transition, 2004. Foreword. In The majority in the minority. Eds. J. Castellanos and L. Jones. VA: Stylus Press, 2003. “The Puente Project: A validating model of education.” Educational Policy 16.4 (2002): 642-667. “Academics of the heart: Maintaining body, soul and spirit.” In Succeeding in an academic career: A guide for faculty of color. Ed. M. Garcia. Greenwood Press, 2000. “Theoretical considerations in the study of minority student retention.” With R.E. Jalomo and A. Nora. In Rethinking the student departure puzzle: New theory and research on college student retention. Ed. Braxton, J. Nashville, TN: Vanderbilt University Press, 2000. “Access, choice and outcomes. A profile of Hispanic students in higher education.” With A. Nora and G. Cuadraz. In Education of Hispanics in the U.S.: Policies, practices and outcomes. Eds. A. Tashakkori and H.S. Ochoa. Vol 17, AMS Press, 1999. “Toward a new vision of the multicultural community college for the next century.” In Community colleges as cultural texts: Qualitative explorations of organizational and student cultures. New York: SUNY Press, 1999. “Closing the gap between two- and four-year institutions.” With H. Garza. In Educating a new majority. Eds. . L. I. Rendón, R. O. Hope, et. al. San Francisco, CA: Jossey-Bass, Inc, 1996. 289-308. Rendón, L. I., Hope, R. O., et. al. Educating a new majority. San Francisco, CA: Jossey-Bass Inc, 1996. “Making the transition to college.” With P. Terenzini, L. Upcraft, P. Gregg, and R. Jalomo. In Teaching on solid ground: Using scholarship to improve practice. Eds. M. G. Weimer & R. Menges. San Francisco, CA: Jossey-Bass, Inc, 1996.43-73. Turner, C., Garcia, M., Nora, A., & Rendón, L. I. (Eds.). Racial and ethnic diversity in higher education. Needham Heights, MA: Simon & Schuster, 1996. “A diverse America: Implications for minority seniors.” With T. Robinson. In Ready for the real world. Eds. Hartel, et. al. Belmont, CA: Wadsworth Publishing Company, 1994. 170-188. “New wave students and the community college.” With J. Valadez. In A handbook on the community college in America: Its history, mission and management. Ed. G. Baker. Westport, CT: Greenwood Press, 1994. 565-579. “No pain, no gain: The learning curve in assessing collaboratives.” With A. Nora. In Creating and benefiting from institutional collaboration: Models for success. Ed. D. McGrath. San Francisco, CA: Jossey-Bass, 1994. 71-83. “The university and community college paradox: Why Latinos do not transfer.” With R. Jalomo and K. Garcia. In The educational achievement of Latinos: Barriers and successes. Eds. A. Hurtado & E. E. Garcia. Santa Cruz, CA: University of California, 1994. 227-255. “From the barrio to the academy: Revelations of a Mexican American ‘scholarship girl.’ In First generation students: Confronting the cultural issues. Eds. L.S. Zwerling and HB London. San Francisco, CA: Jossey-Bass, 1992. 55-64. Reprinted in Turner, et al. Racial & ethnic diversity in higher education. Needham Heights, MA: Simon & Schuster. “Hispanic women in nontraditional careers.” With A. Nora. In Women, work and school: Occupational segregation and its roots in education. Ed. L. Wolfe. Boulder, CO: Westview Press, 1991. 117-139. “Hispanics in the educational pipeline: Stopping the leaks.” With A. Nora. Educational Record 68.4/69.1 (Fall 1988 / Winter 1989): 79-85.